. . . h d t b l o g . . .
. . . f a c e b o o k . . .
. . . t w i t t e r . . .
. . . k i n d l e . . .
. . . p a p e r . . . It is remarkable what a curse seems to attach to any place which has long been inhabited by man. Vermin of various kinds abide with him. It is said that the site of Babylon is a desert where the lion and the jackal prowl. If, as here, an ancient cellar is uncovered, there springs up at once a crop of rank and noxious weeds, evidence of a certain unwholesome fertility,—by which perchance the earth relieves herself of the poisonous qualities which have been imparted to her. As if what was foul, baleful, groveling, or obscene in the inhabitants had sunk into the earth and infected it. Certain qualities are there in excess in the soil, and the proper equilibrium will not be obtained until after the sun and the air have purified the spot. The very shade breeds saltpetre. Yet men value this kind of earth highly and will pay a price for it, as if it were as good a soil for virtue as for vice. In other places you will find henbane and the Jamestown-weed and the like, in cellars,—such herbs as the witches are said to put into their caldron. It would be fit that the tobacco plant should spring up on the house-site, aye on the grave, of almost every householder of Concord. These vile weeds are sown by vile men. When the house is gone they spring up in the corners of cellars where the cider-casks stood always on tap, for murder and all kindred vices will out. And that rank crowd which lines the gutter, where the wash of the dinner dishes flows, are but distant parasites of the host. What obscene and poisonous weeds, think you, will mark the site of a Slave State?—what kind of Jamestown-weed? HDT a little grumpy today. A few drops of dandelion root tincture in a glass of water is prescribed. "Free in this world as the birds in the air, disengaged from every kind of chains, those who practice the yoga gather in Brahma the certain fruits of their works. Depend upon it that, rude and careless as I am, I would fain practice the yoga faithfully. The yogi, absorbed in contemplation, contributes in his degree to creation; he breathes a divine perfume, he hears wonderful things. Divine forms traverse him without tearing him, and united to the nature which is proper to him, he goes, he acts as animating original matter. To some extent, and at rare intervals, even I am a yogi." 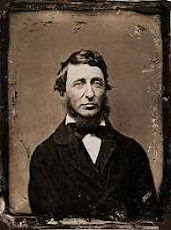 The Blog of Henry David Thoreau and its volume compilation is copyright 2004-2011 Greg Perry. 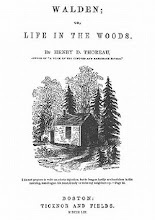 The text is from The Journal of Henry David Thoreau, ed. 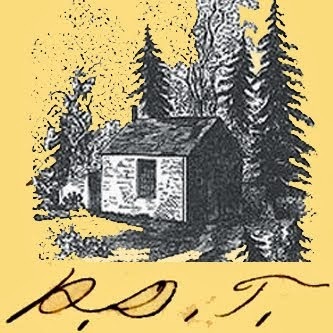 Bradford Torrey and Francis Allen, 14 vols. (Boston: Houghton Mifflin, 1906). 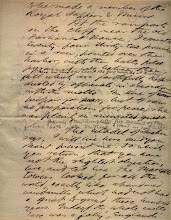 Each blog post is an excerpt from that day's entry in the Journal, and although not necessarily the complete entry, it is an integral and intact section thereof.